This anti-cholera poster has pictures and writing in three languages: English, Chinese, and French. The pictures contrast “safe” versus “dangerous” sanitation practices. The poster is printed with orange ink on cream-colored paper. Middle: It’s easier to prevent than to cure! 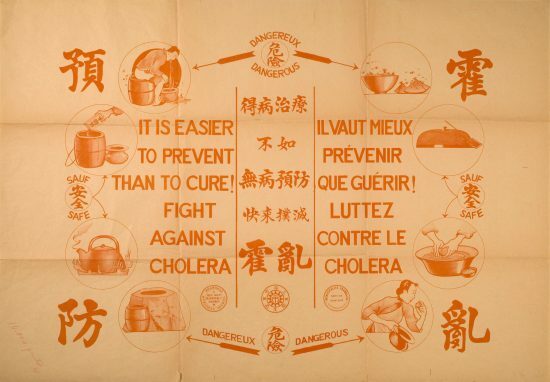 Fight against cholera!